Don’t fall into the trap of paying too much. Out of all the Instant Pot models, you really only need to know which one is best for you. Prices vary between different models and versions so it’s important to choose the right one. After many hours of research, here are the details you need. What are the Differences Between Instant Pot Models? ⇒ Instant Pot Duo vs Ultra – What is the Difference? Which Instant Pot is Best for Me? Which is the Best Instant Pot Mini? 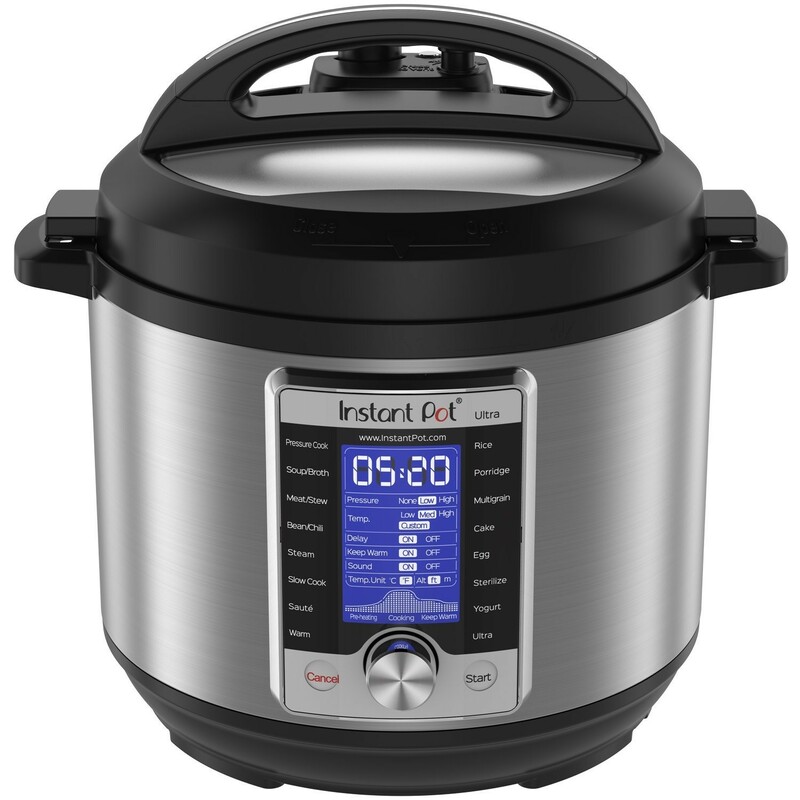 Where to Buy Instant Pot Models? Of course, there are other sizes in each model. For example, the IP Lux60 is the 6 Quart size. If you need the 5 Quart size then you can buy the IP Lux50. Similarly, the Duo60 is 6 Quart and the Duo80 is the 8 Quart size in the same model. Once you read these Instant Pot pressure cooker reviews below you can click on the price link to see the different sizes. If you’re interested in the Instant Pot Smart Bluetooth model, click here to read reviews. I’m going to try and keep the explanations relevant in these Instant Pot pressure cooker reviews. Each Instant Pot is packed with features. It almost makes you wonder if there’s anything they can’t do. Each of the Instant Pot models includes a full stainless steel pot. There are no non-stick coatings to contaminate your food or flake off. Each Instant Pot model has a keep warm setting and they all have at least 10 safety features built in. 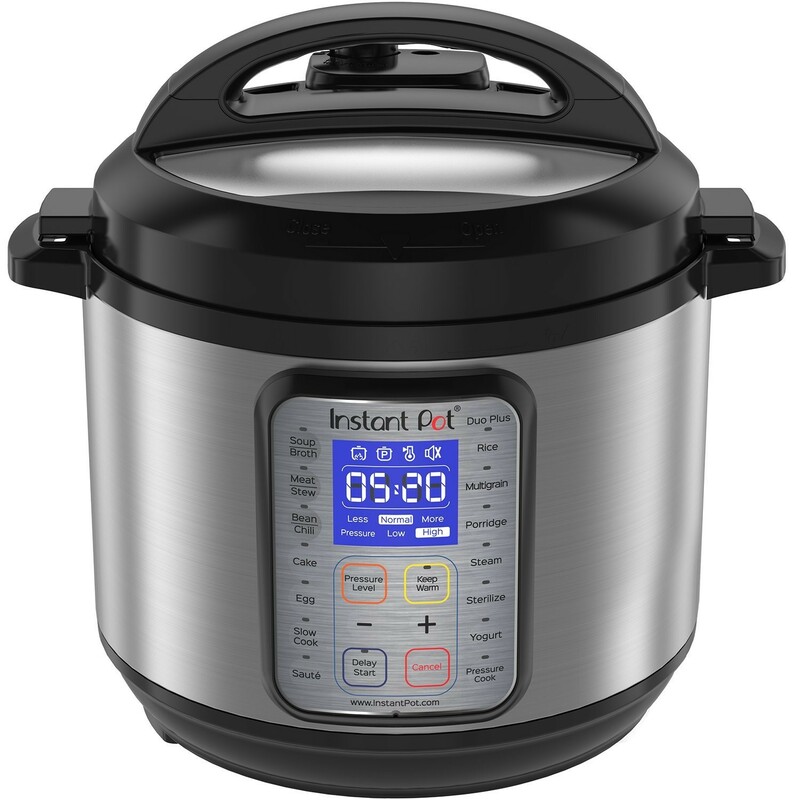 If you’d like to see the safety features on the Instant Pot Duo60 click here and they are listed about one-third down the page. In summary, the Lux60 is an early model which only operates on high pressure. It does not have a low pressure option. You cannot make yogurt in the Lux60. The Lux is available in 3 quart, 6 quart or 8 quart (click the link above to see the price on each size). The IP Lux60 can be used as a slow cooker and a rice cooker in addition to pressure cooking. It will also sauté. The Lux60 has 7 preset temperature settings. Originally the Lux60 did not have an Egg Button setting or a Cake Button settings. If you buy the Version 2 model of the Lux60 it still doesn’t have these settings. However, if you buy the Version 3, it does include the Egg Button and the Cake Button. These days, the V3 is usually cheaper than the V2, so there’s no reason to miss out on these settings if you need them. The IP Lux60 does not have lid holders built in to the pot. You’ll need to place the lid on your counter. When looking at all the Instant Pot models, you’ll quickly realize this is one of the most popular Instant Pots available. It is available in 3 quart, 6 quart or 8 quart size. The Duo60 has dual pressure settings. It can cook on high pressure or low pressure. You can make yogurt in this model because it has the low pressure setting. The low pressure setting is also useful to avoid overcooking delicate foods. For example seafood, pasta and al dente vegetables. In addition to pressure cooking, the Instant Pot Duo60 is a slow cooker, a rice cooker and it will sauté. How do you cook eggs on this model? The IP Duo60 does not have an Egg Button but you can still hard or soft boil eggs using the pressure cook setting. Simply choose the low pressure setting and use 3 minutes for a soft boiled egg or 6 minutes for a hard boiled egg. The eggs should be placed on the steamer basket accessory with about 1 cups of water underneath. You can experiment to get the right amount of doneness. Some people hard boil their eggs on the high pressure setting but generally the lower setting produces better texture in the egg white. You can pressure cook for up to 4 hours using the Duo60. You also have a 24 hour delay timer to start cooking when you’re away from the kitchen. And there’s an automatic keep warm function to hold the temperature of the dish until you’re ready to serve. The automatic keep warm feature can be used for up to 10 hours. The manual warmer feature can be used for up to 99 hours. The Duo60 has built in lid holders on the right and the left to place the lid on its side on the pot rather than having to find somewhere to put it down. The Instant Pot Duo Plus60 has all the features of the Duo60 but it also has the Egg Button, the Cake Button and a Sterilize setting. You can pasteurize milk, sterilize baby bottles, jars and utensils. The Duo Plus is available in 3 quart, 6 quart and 8 quart choices. The Duo Plus offers the choice of low or high pressure cooking. You can use it as a slow cooker, a yogurt maker, a rice cooker and of course, it sautés. This model has a delay start timer for planning ahead. The IP Duo Plus has 11 preset temperatures compared to the IP Duo60 which has 8. The IP Duo Plus60 has the same built in lid holders as the earlier model. This is the latest model. It comes with 11 preset temperature settings and can pressure cook for up to 6 hours. Depending on your cooking needs, you can choose a 3, 6 or 8 quart size. The Ultra Instant Pot provides customization and control over your cooking for greater precision. This means you can set the pressure, the time and the cooking temperature. You can choose high pressure, low pressure or no pressure. The cooking temperature selection ranges from 104 to 208 degrees F. And the cooking time can be set from 1 minute up to 6 hours maximum. The delay start timer can be set from 10 minutes up to 24 hours. The Instant Pot Ultra also has a new cooking progress indicator to see exactly where the Instant Pot is up to in the cooking stages. I love this feature. I know what’s happening when I’m dashing in and out of the kitchen while doing other things. The new dial is great too. On the Instant Pot Ultra it has a turn dial which you push in to select your option. This new dial has a nice feel. If you’re tired of always pushing blister buttons, you’ll like this dial on the Ultra. Can I really use the Instant Pot Ultra at high altitude? If you live at a high altitude you may have experienced problems with pressure cookers in the past. If you’re comparing Instant Pot Duo vs Ultra, then this is a significant difference. The Instant Pot Ultra has an altitude adjustment setting. This is great for people who live at 5,000 feet or even 7,000 feet and have experienced problems in the past trying to get the correct settings to work on their pressure cooker. It will re-adjust the pressure cooking time for you based on your altitude. And it works up to 9,900 feet. You get a new steam release button on the IP Ultra. You can perform both continuous and pulse steam release manually on this model. And when the steam release button is in venting position it will automatically reset into sealing position when you open or close the lid. This is a great feature. If you’ve ever done this, you’ll know how frustrating it is to start your pressure cooker and find later you didn’t close the valve to seal it. The Instant Pot Ultra makes sure the steam release valve is closed automatically when you close the lid. This is a very welcome new feature on the Ultra model. Can I use the same accessories? The Instant Pot Ultra gives you all the same features for cooking. Both Instant Pot models can cook on low or high pressure. You can use both for making things like making yogurt. But if you’re trying to compare the Instant Pot Duo vs Ultra you should know that the biggest difference comes with the ability to customize how you cook with the Instant Pot Ultra. This gives you much greater control over your cooking in the Ultra which is not available on the Duo. Why? Because on the Ultra you get to adjust the pressure, the time AND the cooking temperature. You can adjust the temperature as low as 104 degrees and as high as 208 degrees. This lets you cook sous vide in your Instant Pot if you want to. Another difference and an advantage on the Ultra is the large LCD display. This provides you with a update on the progress of your cooking in the pot. In the Instant Pot Duo some people were confused about what stage their Instant Pot Duo was up to. There’s no guessing with the Ultra. If you’re comparing Instant Pot Duo vs Ultra and you live at a high altitude, you’ll love the altitude adjustment feature on the Ultra. It means you can cook faster as intended with a pressure cooker. Another difference on the Instant Pot Duo vs Ultra is the steam release valve. By closing automatically when you close the lid this saves you a lot of hassle compared to the valve on the Duo. And the quick release button on the Ultra has improved venting on the Instant Pot. If you need the egg button, you’ll need the Duo Plus60, the Instant Pot Ultra or the IP Lux60 V3. Please note with the Lux60 you need to get Version 3 to get the egg button because Version 2 did not include it. If you want to make yogurt, you’ll want to buy the Duo60, Duo Plus or the Ultra. These Instant Pot models have a yogurt button. The Lux60 cannot make yogurt because it only offers high pressure. The Instant Pots that make yogurt have the additional option of cooking at low pressure. For the price, you get the convenience of 5 smaller yogurt jars which are easy to grab individually. You can make a large batch of yogurt directly in the pot of the Instant Pot models with the yogurt button. Another option is to buy the Instant Pot yogurt jars and then you can make 5 separate smaller jars of yogurt sitting in the pot. 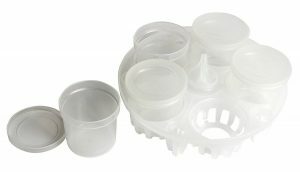 There is a rack which comes with the yogurt jars and this rack can also be used to sterilize 9 ounce feed bottles for babies by placing them in the rack upside down and using the sterilize setting on the IP Duo Plus. If you like to make a large quantity of yogurt in the pot of the Instant Pot then you can transfer some of the yogurt to the smaller jars if you want it in smaller portions. The Instant Pot yogurt jars are an extra accessory and can be purchased at any time to use in your Instant Pot. For the price, the glass lid lets you keep food warm easily. I highly recommend getting the tempered glass lid. Occasionally you see an Instant Pot for sale with a glass lid included as a package deal. Usually these deals don’t actually save you any money. Rather than looking at Instant Pot models with the glass lid, you should realize the glass lid is an optional extra. You can easily buy one for a few dollars. I would buy one at the same time as buying your Instant Pot. But if you forget, you can get one later. The glass lid is ideal when you’re using the slow cooker function. You can also use it for serving at the table from your Instant Pot so you don’t need to be twisting the big bulky lid on and off all the time. The glass lid is great for putting on when you leave the Instant Pot in the keep warm setting. The glass lid is also great for making popcorn so you can see what’s happening in the pot. I like using the glass lid when I sauté meat or onions. This lid is so handy. You’ll find you use it all the time. It’s a great investment for a few extra dollars, well worth the money. You can replace your rice cooker with any of the Instant Pot models. Admittedly if you’ve been cooking rice in an Induction Heating Pressurized Rice Cooker you’ll probably think Instant Pot is not up to a high enough standard. But if you’re replacing a normal electric rice cooker, the Instant Pot gives great results and is very easy to use. And if you’ve been trying to boil rice on a stovetop with varying results, you’ll absolutely love using one of the Instant Pot models for rice. You get nice consistent results with the Instant Pot. All models have a rice button to make it easy. To cook a moist cake in your Instant Pot you’ll need the Lux60 V3, the Duo Plus or the Ultra. These are the Instant Pot models which include the Cake Button. There are extra accessories sold to make cake baking easy in an Instant Pot. 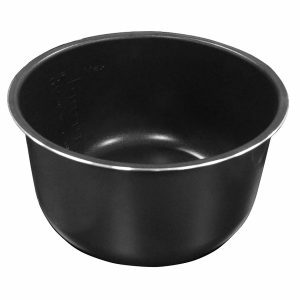 Silicone round cake pans are popular. There are also silicone loaf pans. Instant Pot round cake pan is good for cheesecakes. The Instant Pot round silicone springform cake pan has a tempered glass bottom and silicone sides. The pan is great for making cheesecakes in the Instant Pot. It fits nicely into the 6 Quart pot. It’s heat resistant to 450 degrees F.
To use it, you place about 1 cup of water in the bottom of the Instant Pot and then place the steamer in the pot with the cake pan on top. It’s all quite easy to do. Instant Pot silicone loaf pan can be used to make bread or meatloaf. The loaf pan by Instant Pot is also springform. It’s ideal for making loaf cakes or bread. This pan also sits on the steamer rack and is easily removed from your Instant Pot after cooking. The loaf pan has a tempered glass base so you can prepare, cut and serve on the same base. As well as cakes and breads, the Instant Pot loaf pan can be used to make a meatloaf or lasagne. But just one word of warning, it’s small, so you’ll probably only feed one or two people if you’re making a meatloaf. 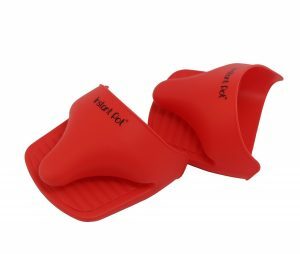 You might be interested that the only negative reviews about the Instant Pot cake pans, for Instant Pot models, seem to be about the clip that holds the silicone sides together. Obviously, the clip needs to be tight so it stays together. But if you have arthritis or problems with your hands, you might want to think twice before you get these springform pans. The clip is definitely a bit of a challenge to release if you’re not feeling strong. For the price of this Instant Pot ceramic pot you get the convenience of easy cleaning and a non-stick surface which is free from teflon, PFOA & PTFE. 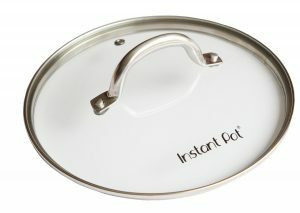 All Instant Pot models come with a stainless steel inner pot. You can also buy a separate ceramic coated non-stick pot. This ceramic pot is free from Teflon, PTFE and PFFOA. 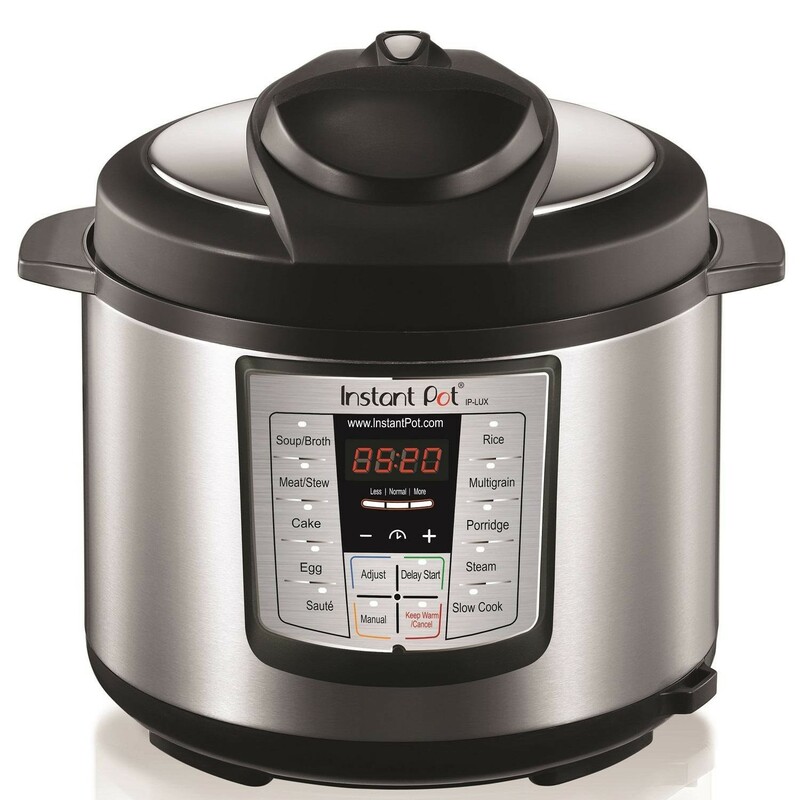 It is available in a 3, 6 or 8 Quart capacity to suit most Instant Pot models. The pot is made of aluminum making it lighter in weight. It has a ceramic coating. You can use this ceramic pot at temperatures up to 680 degrees F. And for convenience, it’s dishwasher safe. Personally, I like using the stainless steel pot but lots of people find the ceramic pot easier to clean up. I suppose it depends on what you’re cooking. If you’re looking for an easier pot to clean, this ceramic pot may be perfect for you. I find it handy to have an extra pot. This makes it easy to cook one meal straight after another. There’s no waiting time trying to transfer the food and wash the pot. If you’re feeding a family or entertaining, you’ll love having an extra pot. Buying an extra stainless steel pot or ceramic pot makes life easier in the kitchen. Instant Pot Mini Mitts are the right size to lift out the pot when other mitts are too bulky to do the job. A lot of people dismiss these mini mitts thinking that they already own hot mitts so there’s no need for them. Think again. These cute little mitts are really handy. Other hot mitts tend to be too thick and bulky to get the inner pot out of the Instant Pot. Whereas, these mini mitts are perfect. They are thinner and the right size to get a heavy pot full of food out of the Instant Pot. You may not want to use these mitts with oven dishes because they are thinner. But they don’t take up much space so it’s easy to have them in the kitchen specially for your Instant Pot. It’s a good idea to order these at the same time as buying your Instant Pot. You can remove the inner pot easily without burning yourself. The Instant Pot models come with their own steamer rack. But the Instant Pot rack is not very useful if you want to steam vegetables or make recipes using the steamer setting. 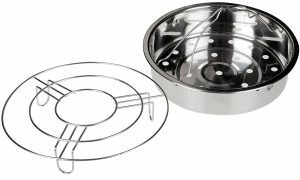 Lots of Instant Pot owners have chosen to buy this Secura 6 Quart Steam Rack Basket set. It fits the 6 Quart Instant Pot inner pot perfectly. The set includes a rack/trivet that is slightly higher than the rack that comes with the Instant Pot. This lets you use more water without the water touching the food in the steamer basker. If you want to steam food in your Instant Pot, buy this steamer basket. You’ll love how convenient it is. Have you considered the Instant Pot Mini? They’re not ideal for a large family but if you’re wanting an Instant Pot for yourself, for a couple or for your dorm room then you really don’t want a full size model. An Instant Pot Mini is also great for using in your RV, boat, at a holiday home or camping (as long as you have access to power). By being a smaller size they’re easier to take with you. By getting an Instant Pot Mini you can save time, money and space. The Mini is has a 3 quart capacity and is perfect for one or two people. This size Instant Pot still gives you lots of options. You can cook single serve meals or up to 6 cups of uncooked rice (12 cups of rice cooked). It’s a good size. The 3 quart Mini size is available in Instant Pot Lux, Duo, Duo Plus and Ultra. You can get all the features you want but in a smaller size (for a detailed review on each model please see above for each one). As a comparison on size, the Instant Pot Duo 3 Quart has a base diameter of 9 inches while the Duo 6 Quart has a base diameter of 11 inches. This shows you how much space you can save, either on your counter or in a cupboard by getting the Instant Pot Mini. 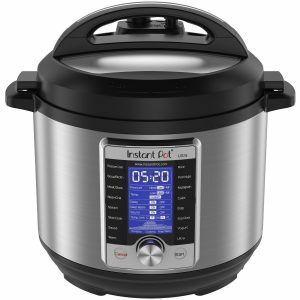 Do I need the Instant Pot Ultra Mini? Out of all the Instant Pot models, you’ll find the latest features in the Ultra 3 quart but not everyone needs all these features. And, let’s face it, the Ultra costs more. If you want to customize your cooking or if you need to use your Instant Pot at a higher altitude then definitely get the Instant Pot Ultra. However, if you’re after a good Instant Pot without the extra cost, don’t get obsessed with the Ultra. Which Mini out of the Lux, Duo or Duo Plus? If you’re on a budget, don’t feel like you need to get the Ultra. While the Lux model is lacking a few of the latest features, you’re more than likely to find everything you need on the Duo or Duo Plus. Want to make yogurt? You can do it in the Duo or Duo Plus. The main difference is that the Duo Plus has the additional features of the Egg Button, the Cake Button and the Sterilize Button. For most people the most significant feature is the Egg Button. But don’t worry, you can still cook eggs in the Duo. It’s easy, even without the button. All you need to do to cook eggs is choose the low pressure setting and place 1 cup of water in the bottom and cook for 6 minutes for hard boiled eggs or 3 minutes for soft boiled. You can place the eggs on a trivet stand inside the pot or use a steamer basket. Eggs cooked in an Instant Pot peel so easily. If you need to do lots of eggs for an egg or potato salad, you’ll love the speed and convenience of using your Instant Pot. Possibly the best Instant Pot Mini is the Duo. Why? Because it offers good features for a great price. But if you want all the bells and whistles, go for the Ultra 3 Qt Instant Pot. 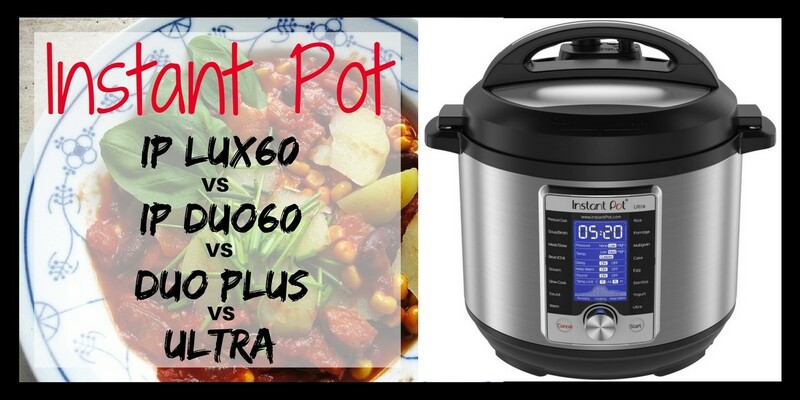 If you’re comparing Instant Pot Duo vs Ultra you’ll need to think about the specific features as to how you will personally use it (features discussed above in this article). The Instant Pot Mini Duo is full of features. You can do everything you need to do but on a smaller scale. Not only is this size great for singles or couples but if you already own an Instant Pot you can use the Mini to cook sides or desserts while using your other Instant Pot for the main dish. As mentioned above, the extra buttons on the Mini Duo Plus are the real difference between those two Instant Pot models. But you can still cook everything you want to make in the Mini Duo. By getting the Mini Duo you save money and still get all the Instant Pot convenience. The Instant Pot Duo has been one of the most popular Instant Pot models for good reason. It gives you bang for your buck with the reliability of the Instant Pot brand. And if want to choose a Mini you get the same great features in the Duo 3 quart Mini. If you’re never going to make yogurt you may want to consider buying the IP Lux60. At the time of writing it was about half the price of the latest Instant Pot Ultra. And still quite a bit cheaper than the Duo60 and Duo Plus. Personally, I’m a big fan of the IP Duo60 and the Duo Plus Instant Pot models. People love these Instant Pot models and it’s not difficult to see why. The Duo60 and the Duo Plus offer low and high pressure cooking. They both have multiple functions and if you need to sterilize baby bottles the Duo Plus does that for you. Just remember you can still hard boil eggs in the Duo60 even without the egg button. These two Instant Pot models save you so much time when cooking dinner every night. They are easy to clean and convenient. Once you have an Instant Pot, you won’t know how you lived without one. The latest Instant Pot model is the Ultra. This model gives you the best control over your cooking. It shows you where the cooking progress is up to and you can adjust the settings depending on your altitude. These features will be very important for a lot of people. My favorite improvement to the Instant Pot with the Ultra model is the dial control. You can turn and push to select. I really like this. At the time of writing, I researched online retailers and brick and mortar stores. 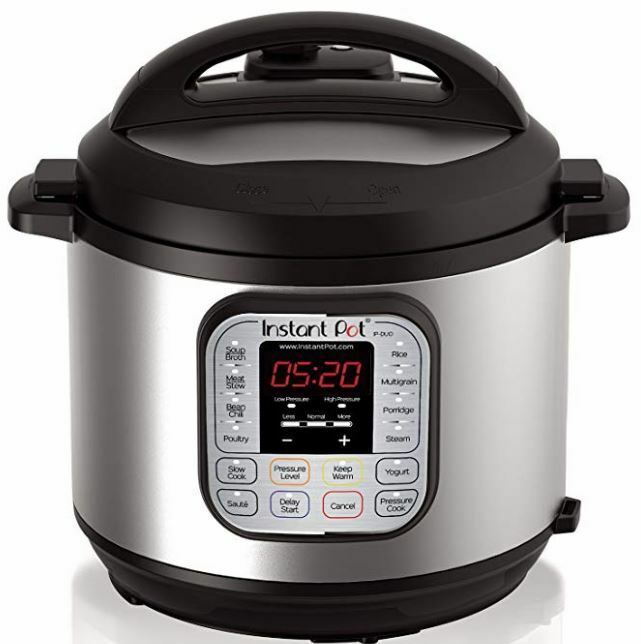 Some of the cheaper physical stores were close to the price online, but overall Amazon had the best deals on Instant Pot models. Even though there were some discount vouchers available to buy Instant Pot directly from the manufacturer, the prices were still higher than buying on Amazon.com (that’s even after applying the discount). 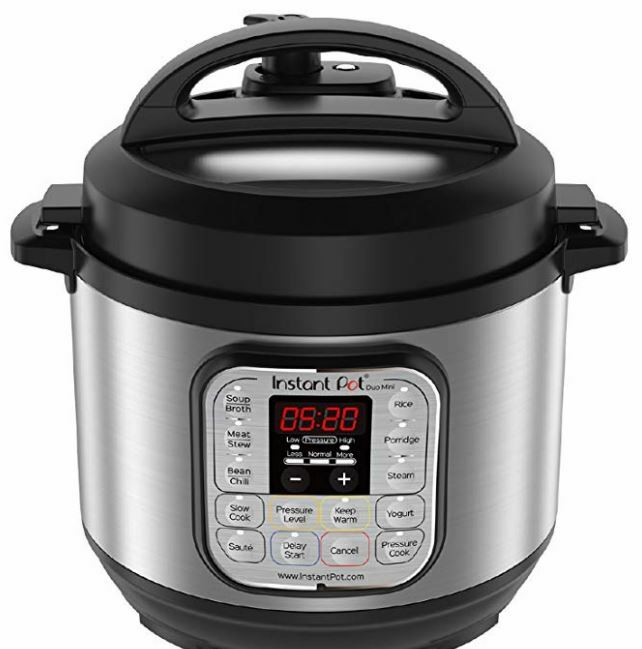 ✅ To see the best prices on Instant Pot click here. Need a new induction cookware set? ⇐ Get the details you need here. This entry was posted in Small Appliances on April 29, 2018 by Edwina. I have the IP-DUO60 v3 and it does not have a manual button, which button do I select to cook on manual? You use the Pressure Cook button. If you need to change between high and low pressure you can use the Pressure Level button. Thanks for this great article! On the “Duo plus” egg setting, can you choose between high and low pressure? For soft boiled eggs do I use high or low pressure? How many minutes for soft boiled “large” eggs? The Egg button will automatically cook on the high pressure setting. If you select the Normal setting it will cook on high pressure for 4 minutes. The Less setting will do high pressure for 3 minutes and the More setting will cook for 5 minutes on high setting. You can choose to cook eggs using the Pressure Cook button and use the Pressure Level button to put it on Low pressure. For soft boil eggs try 5 or 6 minutes on low pressure. It’s worth experimenting depending on the size of your eggs and how fresh they are (whether they’re straight from your chickens or refrigerated from the store). Eggs do tend to cook better using low pressure. Also, it gets a little bit tricky depending on how many eggs are being cooked in the Instant Pot at the one time. If you have lots in there, it takes longer to come up to pressure and yet they have started cooking – so you may need to use a shorter time than you think. If you’re only cooking very few eggs then it gets to pressure faster. You’ll need to experiment to get your perfect egg. Your article is well-written, easy to understand, professionally executed, and organized making it easy to process all of the differences in models. I will be using your website in the future: Bookmarked. Thank you!! !